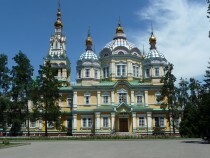 Is located in Panfilovets’ Park and is probably the only wooden Cathedrals in the world. The cathedral is built without using any nails, which again, makes it pretty unique. 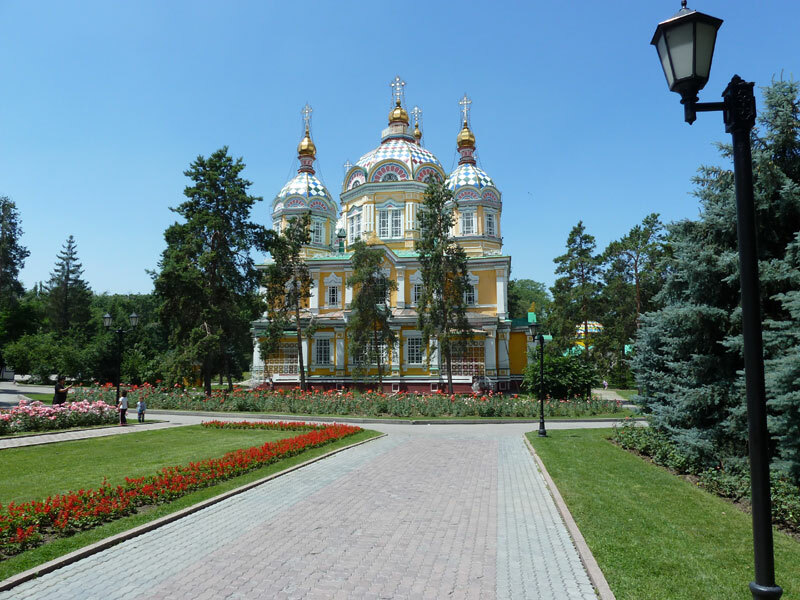 The Cathedral was used as a museum after the ‘Revolution’, but was again restored to its original use as a Russian Orthodox Cathedral in 1990. 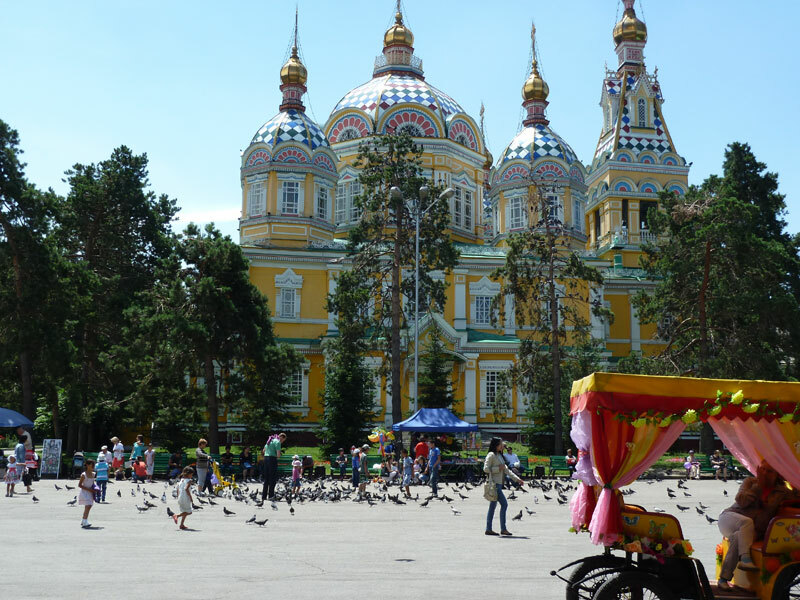 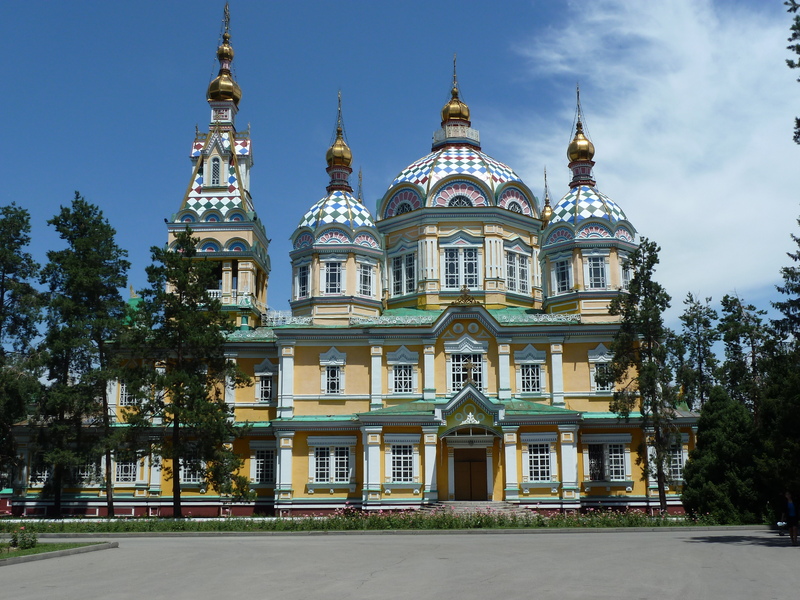 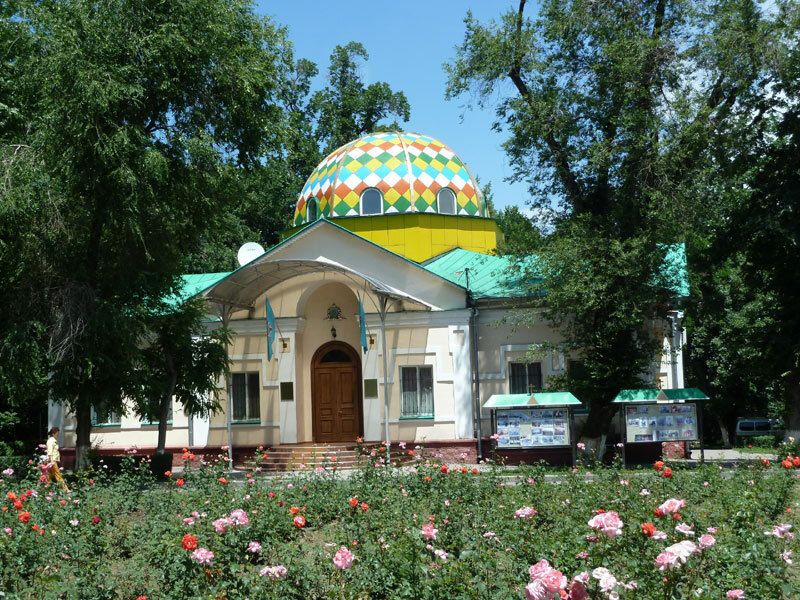 The idea for a cathedral in Almaty was initiated by the bishop of Turkestan and Tashkent and was constructed between1904 and 1907. 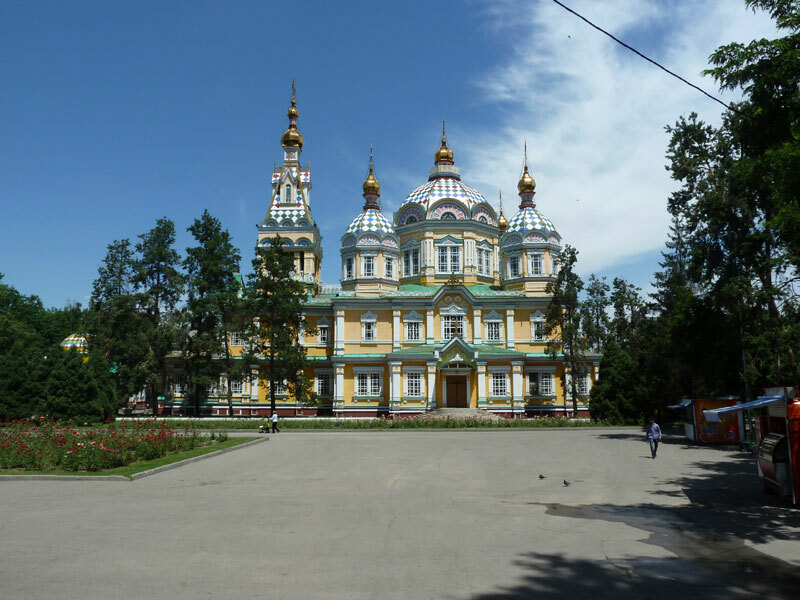 It was believed that an ‘act of God’ saved the building from the devastation of the 1911 earthquake. The inside of the church is as elaborate as its exterior and is a member of the Russian Orthodox church. If entering the church, visitors should respect the customs of the church as this is a very active religious building. Views from all four sides are different and a walk around is worth doing. 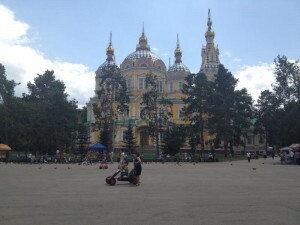 On one side is an open area where stalls are laid out for children’s activities and rides. 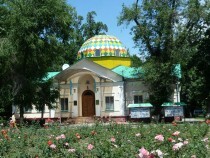 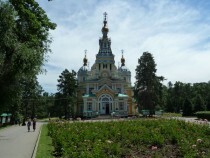 As the image opposite shows, the Zenkov Cathedral stands proud in the middle of Panfilovets’ Park and is well with a visit.